What I love most about doing classy feminine boudoir photography is that it is such an empowering experience for every woman that has come through our studio. Unfortunately, to protect the privacy of our clients I can never show images unless it's through our private boudoir facebook page. So if you want more info- please ask! Portland glamor photos aren't about boas and blurry butterfly backgrounds. It's about having the guts to exist in photos for your children. How many moms out there ever get photographed? How many are actually in front of the camera vs behind it? As a family, we've often spent many holidays looking through old photos albums and laughing over all the memories. But every time I flip through those pages I am struck by how few photos of my mom are in their pages. A combination of self-consciousness and busy-ness elsewhere always have us kids as center stage. Thank you Chelsie for getting out there and having a shoot just for you! Your little ones will look back and thank you. Portland Boudoir photos can vary so much. From super sappy 80s style to beautifully airy photos full of light. Personally, boudoir for me is about light and mood. I love the dramatic feel to this entire session, completely photographed on old-school film. I based the way I use light on who the client is and their personality. Miss J is an amazing woman, and did a session just for herself, so it has more contrast than most. I don't put a lot of images on the web because I truly value my clients privacy and believe firmly that what is intimate should stay intimate. 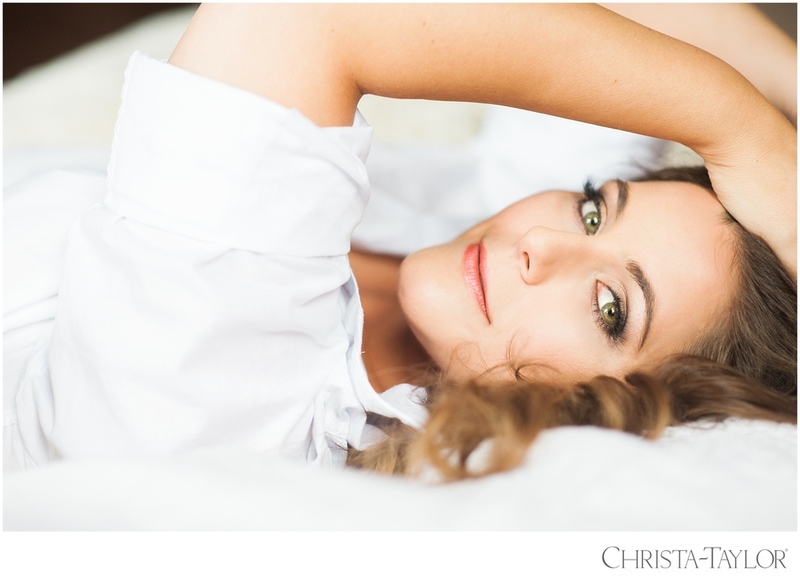 Boudoir photography is about reveling in your femininity without compromising your decency. We want to give confidence to women but maintain that respect and hidden allure that is so powerful. Boudoir photography is the art of finding the balance. Sit back, let us do the work! Enjoy a luxurious experience from the minute you walk in to the minute you leave. Miss J found her some of her favorite wardrobe pieces for this shoot at Nordstrom.